The perfect bite of dark chocolate and the tiniest hint of crunch to the crust. This is a rich, intense chocolate experience. Featured in NY Magazine as one of New York's Best New Brownies, November 2013. Ingredients: Fresh creamery butter, Valrhona cocoa, flour, sugar, eggs, bittersweet chocolate, pure Madagascar vanilla extract, fleur de sel. 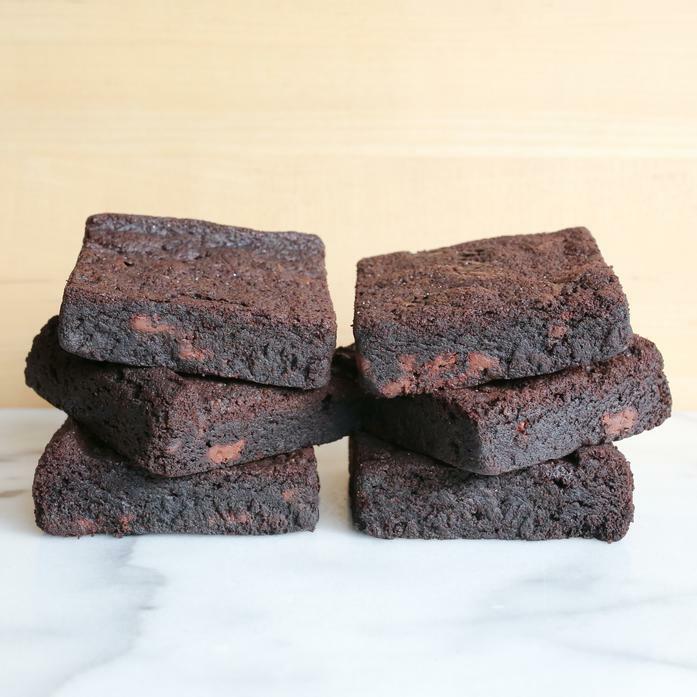 Each order contains 6 brownies, each 3" x 3"